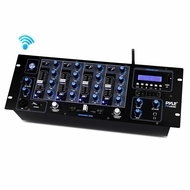 The Pyle PYD1962BU Bluetooth 4-Channel DJ Mixer will make sure that your performances sound great every time. You’ll be able to professionally mix your entire Digital MP3 library with your turntables or other connected devices. 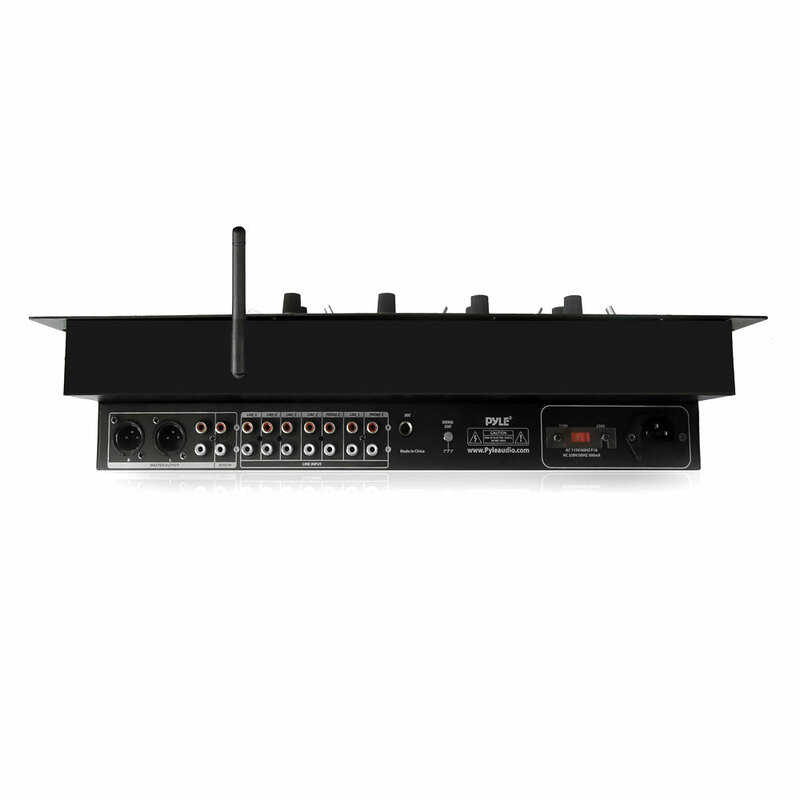 Bluetooth technology will allow you to instantly add wireless streaming music to your DJ session. (Works with iPhone, Android, Smartphone, iPad, Tablet, PC, etc.). Wirelessly stream music like Pandora or Spotify from your Bluetooth device directly into your mix. Your microphones will sound crystal clear with talk over control and separate mic gain control. 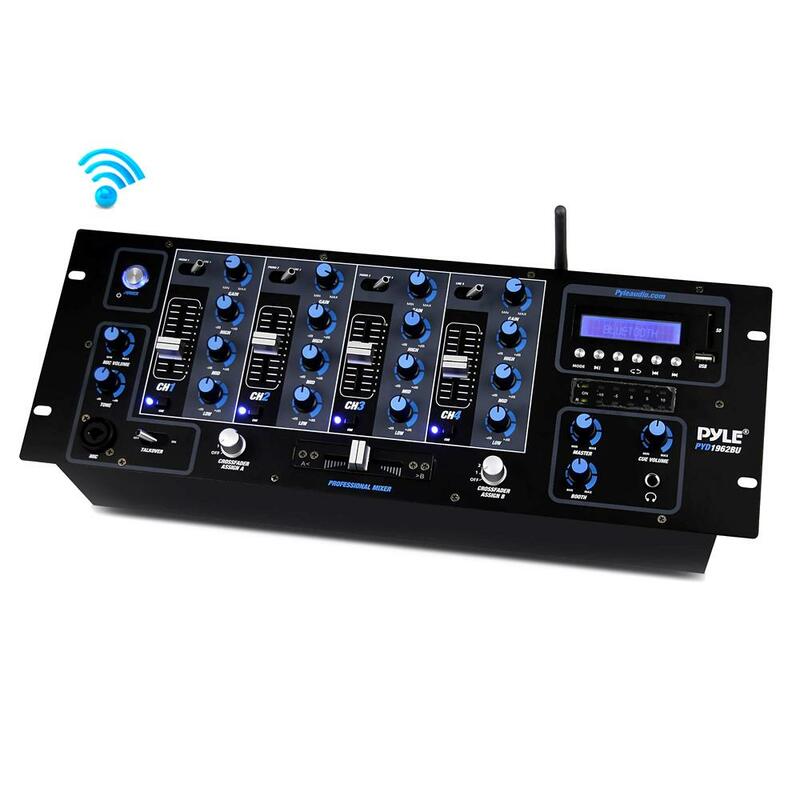 Additional features include Digital LCD MP3 display provides ID3 tag and song readout information, USB flash & SD memory card readers, independent channel control levers, cross fader and plenty more to keep you mixing all day long. Enjoy a value-packed mixing solution with the Pyle PYD1962BU Bluetooth DJ Mixer.